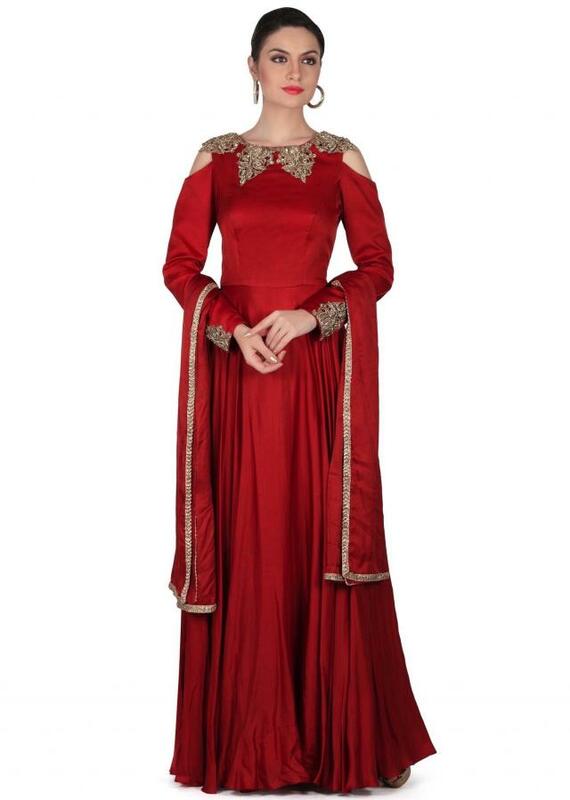 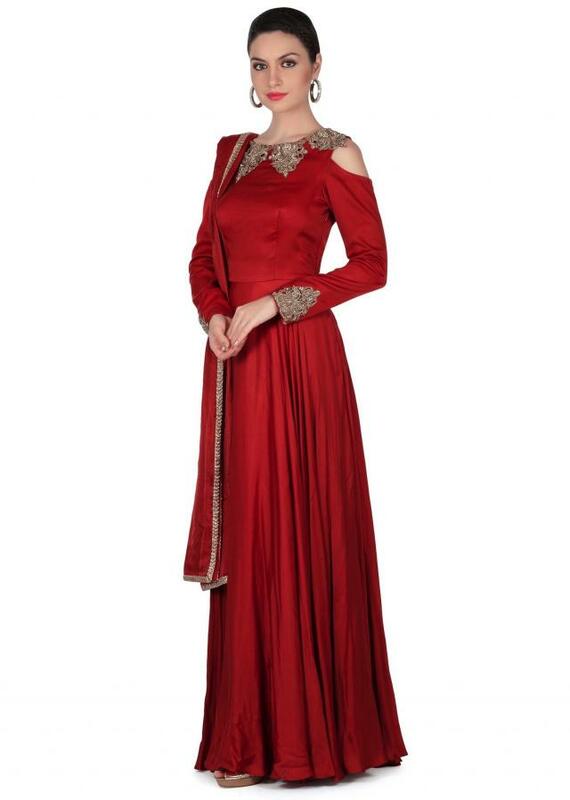 Maroon anarkali suit featuring in silk. 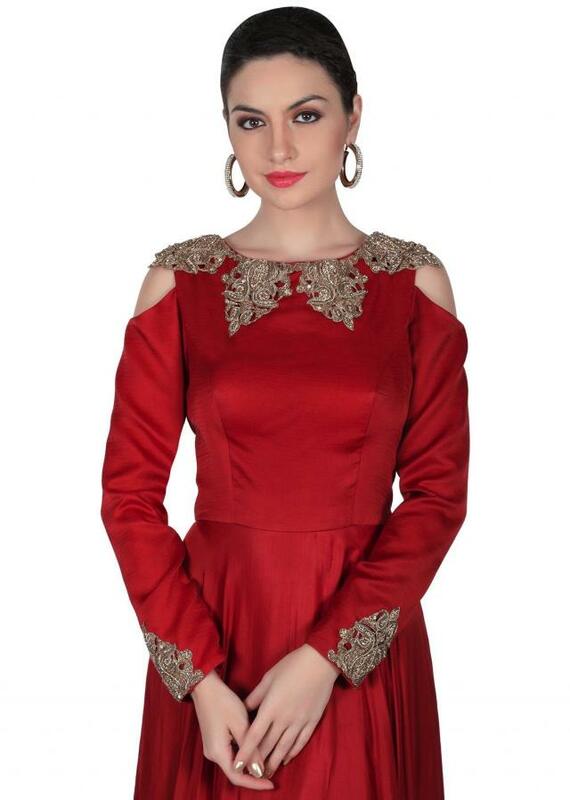 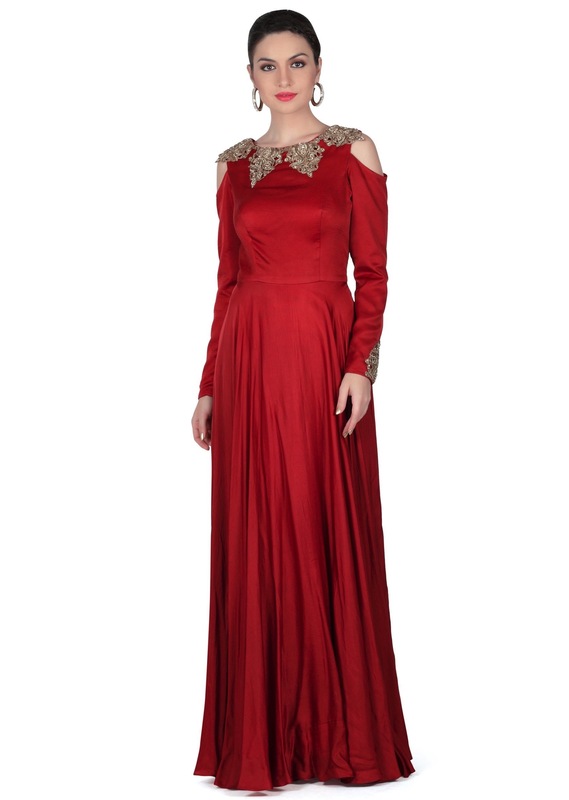 Neckline is embellished in cut work zardosi and kundan embroidery. 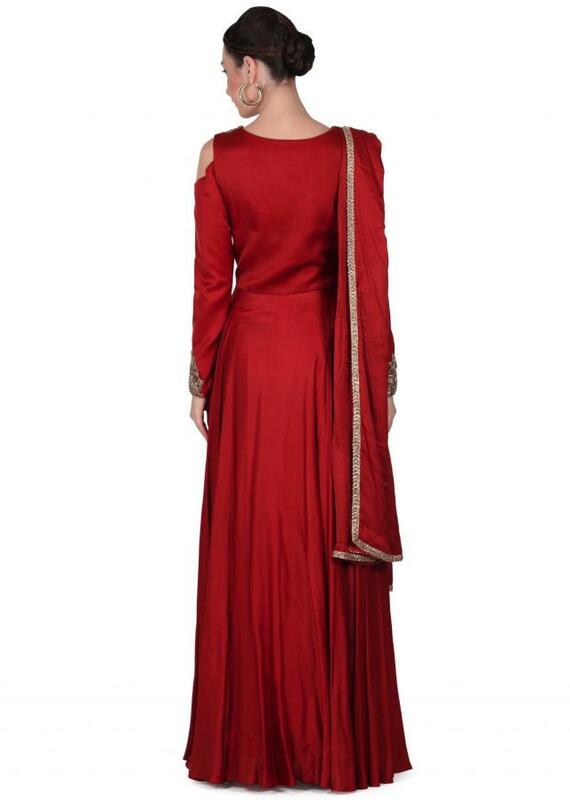 Matched with churidar and silk dupatta.